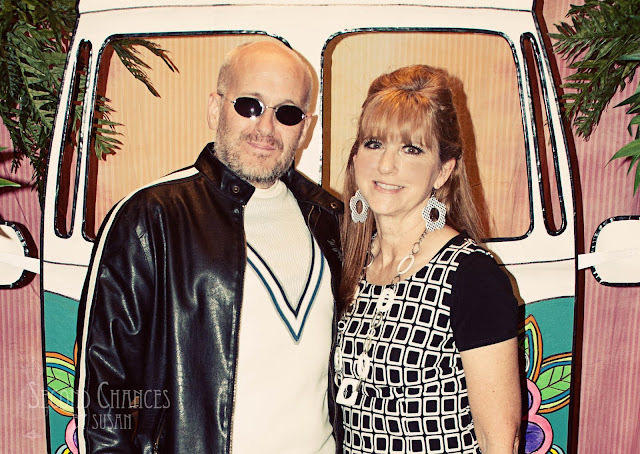 My husband and I recently attended a 60's themed dance. 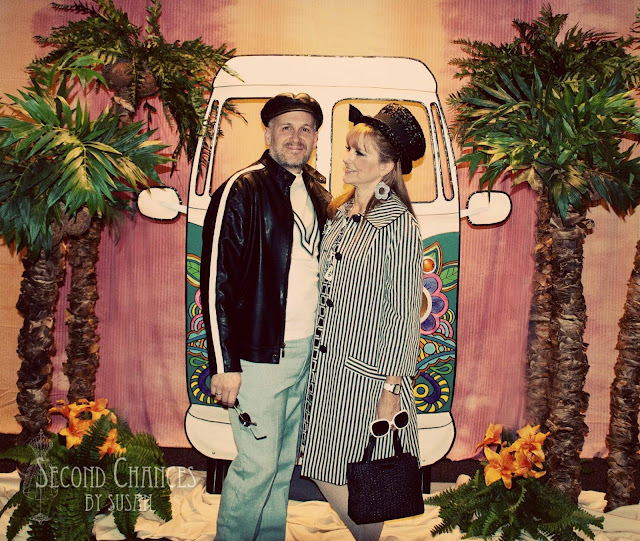 I had such a fun time decorating for the dance and coming up with our costumes. 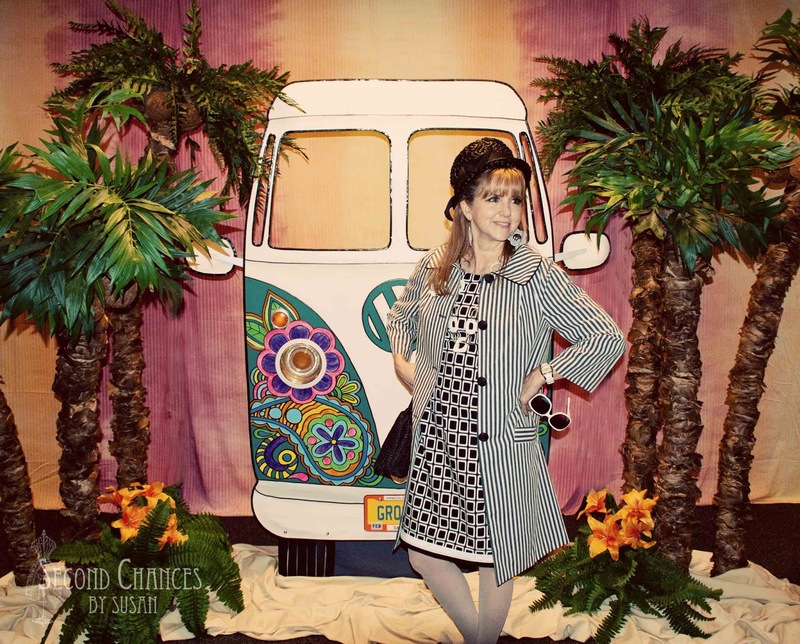 I used a thrifted bed sheet and Simplicity pattern 1197 to make a retro coat to wear for the evening. My dress was also thrifted with just an adjustment in size and some added trim at the hemline. 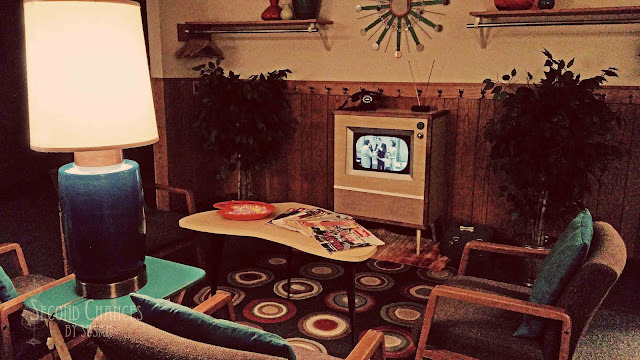 If you would like to see a detailed post of all the decorations, including my turning the church foyer into a retro living room, you can visit my blog, Second Chances by Susan.